I had a chance to visit with Pat and see N123LE (the plane I rebuilt over 2 years) and was taken aback by what I found. 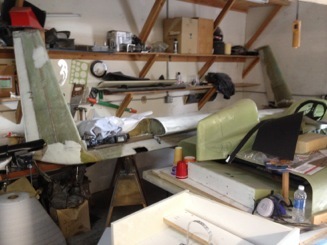 The plane was last flown on 16 Oct 2011, disassembled and sent to get work don on it. In his shop the wings are stacked and sitting on the bench waiting to be completed. 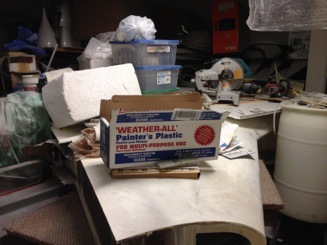 Here is the fuselage buried under a bunch of boxes. I guess I am saddened by such a loss of all the work I did and such a fine flying plane just sitting going to waste. Not my plane, but I still care about it. 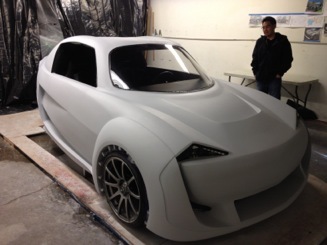 Pat’s new project at work was building a plug for an 3 wheel electric car startup company. I was told now that this has been completed, he will start back on the the plane. I hope it is back in the air by this summer.